Quite possibly the rarest gun in the upland field. In a day where more more more is considered better, this old standard has been left behind. So much for the idea of one shot, one kill. There may be no better weapon with which to learn shotgunning; absolute beatiful simplicity. As with other break action weapons, safety is the biggest benefit. An opened action is a visible sign to instructor, guides and other hunters alike that the weapon is secured. 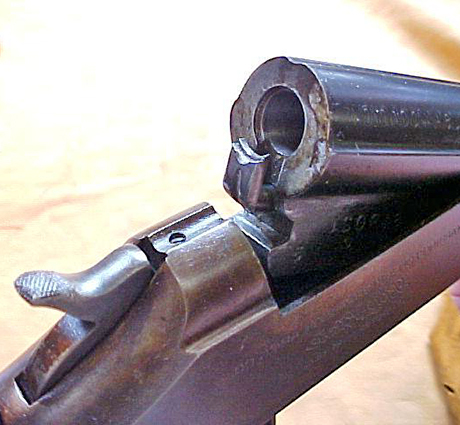 And the ability to easily look through the barrel when open allow hunters to recognize any barrel obstructions or fouling. This also makes the barrel super easy to clean, both in the field or on the workbench. Lightweight, easy to clean, easy to use but for most the lack of a follow up shot does not outweigh the benefits of the meager single-barrel.